Commemorating the 100th anniversary of America’s entry into World War I (WWI) in 1917, Buffalo Never Fails: The Queen City and World War I looks back to a critical time in our nation’s history, emphasizing Buffalo’s role in the war and the related consequences. This exhibition honors stories of individual heroism and describes sacrifices both on the battlefields and here at home. 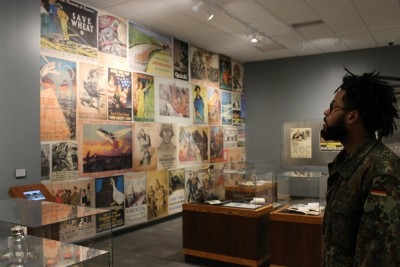 The exhibition is located in the second floor Collections Gallery and is free and open to the public during all Central Library operating hours until January 2020.